hilarious caption on the graph. Made me chuckle. 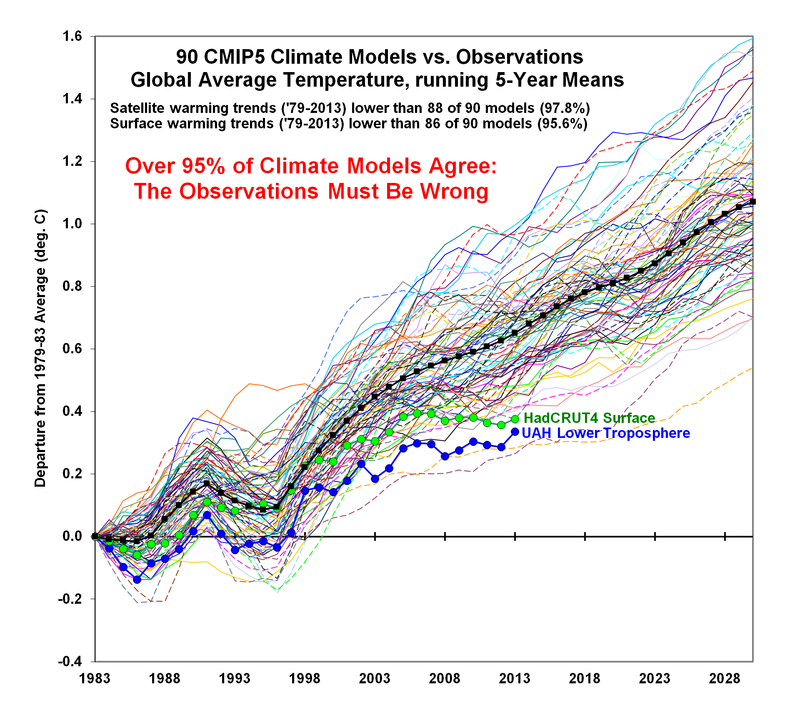 Dana Nuccitelli has written a defence of climate models, in which he appears to claim that a few models randomly replicating the pause should be considered evidence that climate modelling is producing valid results. … There’s also no evidence that our expectations of future global warming are inaccurate. For example, a paper published in Nature Climate Change last week by a team from the University of New South Wales led by Matthew England showed that climate models that accurately captured the surface warming slowdown (dark red & blue in the figure below) project essentially the same amount of warming by the end of the century as those that didn’t (lighter red & blue).